Beard grooming goes hand in hand with beard growing. You cannot grow out a beard and then expect it to look groomed. Grooming begins from the day you decide to grow out a beard. Beard grooming essentially helps you raise your average bearded look to a standard that it truly deserves. Which Beard Grooming Secrets are being revealed? Hear the golden words – you can only groom a clean beard! This does not really sound like a secret, but you will be amazed how often you ignore the cleanliness of your beard. Even for a rugged look, you do need to keep it clean. Apart from the basic hygiene factor, a clean beard is easier to control. Even a rugged beard is controllably uncontrolled. I know you men know very well what I mean. There is no out of bed look. A man with a beard always takes out, if even two seconds, to set his beard right. This essentially means that from day one you need to make sure your face is crystal-clear and as oil-free as possible to ensure a healthy growth. Shampoo works well especially if used with a conditioner. Please don’t use regular soap; that is really rough on the beard hair. Apart from shampooing it once a day, you should clean your beard each time you wash your face and towel dry it or use tissue. Anyway when you wash your face the beard also gets a bit wet. Just as well wash it properly using fingers and dry it out right. 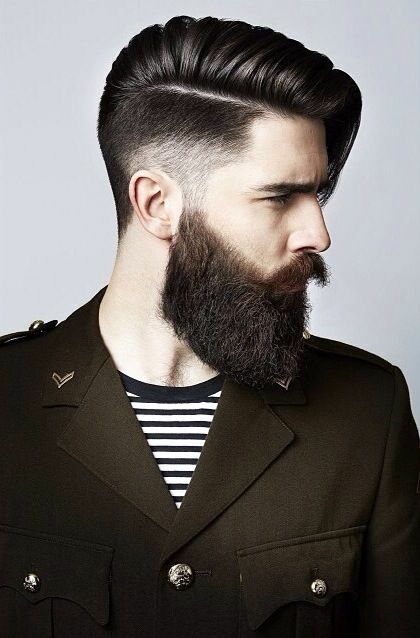 Beard Style : 5 Reasons why you need to style your beard!